Don't forget just because the Summer is over doesn't mean it's time to hibernate!!! 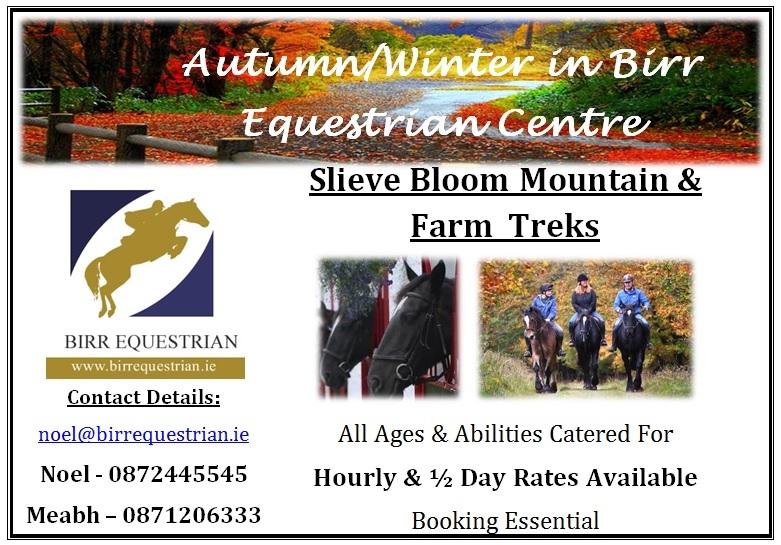 Why not join us for one of our Slieve Bloom mountain treks, or perhaps an adult or child riding lesson may be more of a challenge!! 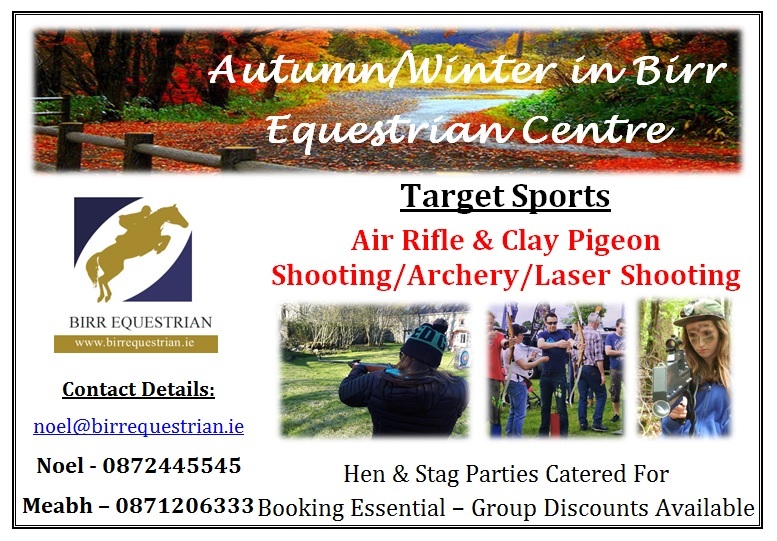 If horses aren't your thing don't worry we also cater for the non equestrian orientated person with our target based activities which includes Archery, Clay Pigeon and Air Rifle Shooting or Laser Shooting. Contact Noel on 353 (0) 872445545. 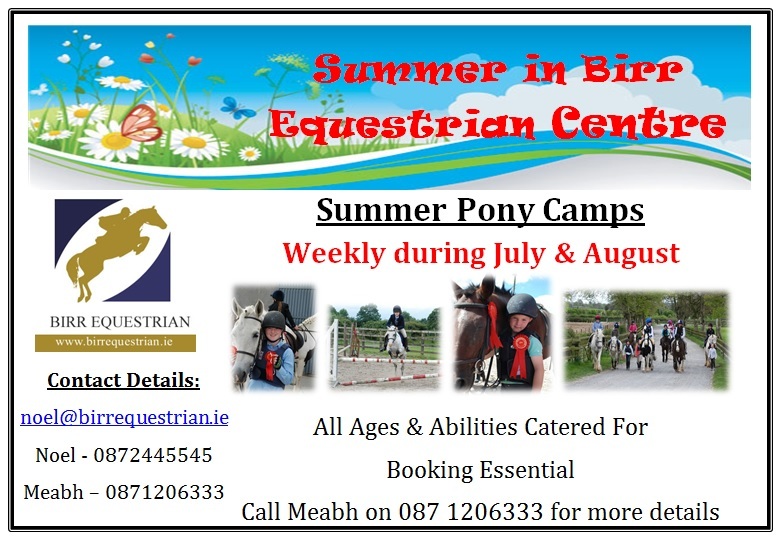 Summer Pony camps will continue throughout July and August!! These camps are suitable for children of all ages and abilities! During the week students will learn riding and stable management with an end of week show and awards ceremony!! 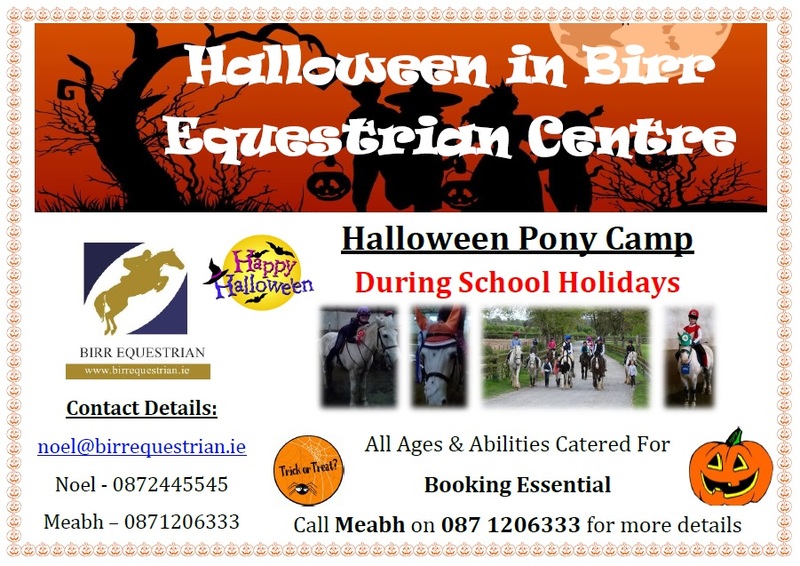 For more information or to book a place contact Meabh on 0871206333. 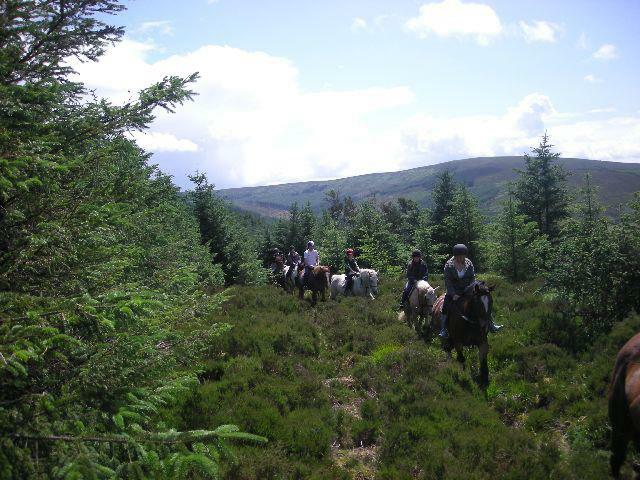 There will be a 2 hour Slieve Bloom Mountain Trek on Sunday 19th July meeting in Kinnitty at 12pm. 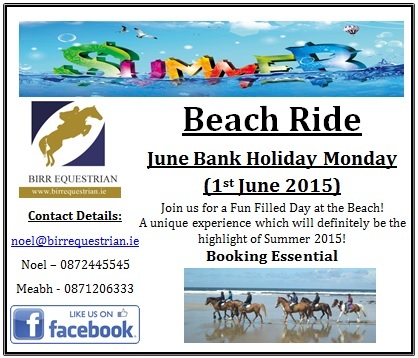 For further information and to book a place contact Noel on 0872445545. Slieve Bloom Mountain Trek, Wednesday 6th May at 2pm. For more details contact Noel on 0872445545.